My girlfriend who lives in the US wants to visit me in the UK for a couple of weeks. I will be funding her while she stays here and I'm a bit worried she'll have a problem when she arrives and goes through immigration as she doesn't have much in the way of an income at the moment and so they might look at that and refuse her entry. What do I need to do to make sure she doesn't run into difficulties entering the country? Your girlfriend will not need a visa to arrive in the UK. Instead she will be interviewed by a British Immigration Officer and if she's successful she will receive 'leave to enter'. 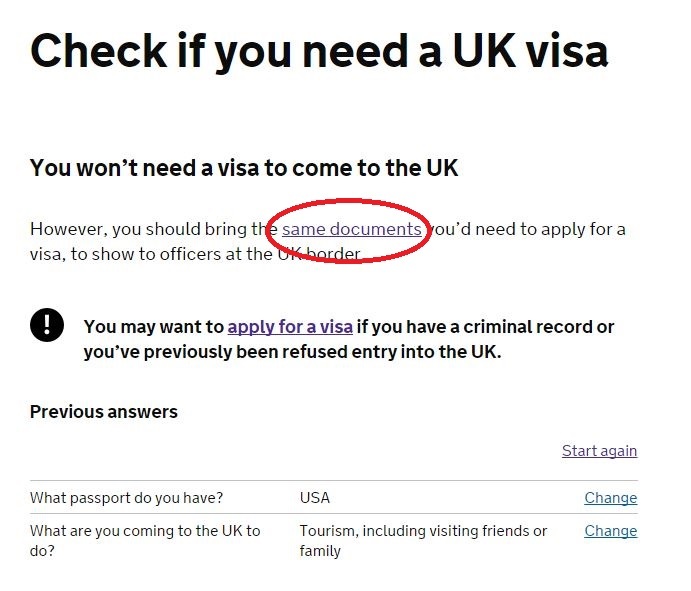 The terms and conditions for that type of visa are in Paragraph 42 of the Immigration Rules, and hence what the IO will focus on in the landing interview. If she is unemployed or employed part-time, she may not have a letter from her employer and that could tweak the IO's radar and prompt him to ask for bank statements. If the bank statements are weak or she doesn't have any, it will arouse concern. Where the sponsor is a boyfriend or girlfriend, the IO may be wary that the passenger will attempt to settle, or get married without a visa. If passengers lie about having a partner or romantic interest in the UK, or about the nature of the relationship, this can seriously damage their chances of being allowed to enter the country. Sometimes when IOs are not happy with some aspect of a story, they may put out a call to see if anyone is meeting the passenger in the arrivals hall; on occasion this produces a partner or spouse. IOs claim they take a closer look if they discover that the passenger and sponsor hardly know each other, have only just met, or perhaps have never met at all. Officers will seek to determine why the passenger is making the trip, and why at this particular time. If the sponsor and the passenger are in the same line of business, the IO may suspect the passenger is here to work. Officers commented that internet relationships tend to generate a lot of cases, and are a particular problem among American passengers. If the passenger is young, single and unemployed, there are concerns that he or she may be trying to start a new life in the UK. So your girlfriend should be straight up about your relationship and prepared to demonstrate ties to the USA. You can also mitigate these things somewhat by preparing an invitation letter explaining that you will accommodate and maintain your girlfriend. To carry any weight, the letter should include bank statements and your employee contract. If you are NOT in council housing, it would be helpful to include something about that also. As pointed out in comments, the majority of people sail right through their landing interview and never realize that they have received a visa. Some are not so lucky, and it pays to be prepared. Not the answer you're looking for? Browse other questions tagged visas air-travel uk customs-and-immigration visa-free-entry or ask your own question. Can a Russian apply for European visa twice if he didn't go to the countries he applied to in the first? Can US citizen apply for UK's standard visitor visa while being in UK? Can my wife visit me in the UK before we apply for a Spouse Visa? Visitor visa refused. Could a family visa be accepted? How can my girlfriend maximise her chances of getting into the UK on a tourist visa?